Texas law requires that a report of child abuse must be followed-up by Child Protective Services (CPS) investigators within 24 to 72 hours. Thousands of children were left vulnerable during those decisive hours. Over 14,000 children were left unchecked in those critical hours after a report of neglect or abuse in mid-September, reported the Austin American Statesman. It was reported that almost 2,000 of these cases were urgent or emergency situations. The Texas Tribune reported that for each day in the last six months, almost a 1,000 “highest priority” children were not checked. Children have been placed in this category by the agency because of the immediate risk of physical and sexual abuse. “Governor Abbott and Commissioner Whitman have both clearly stated that the protection of children from abuse is a top priority. The data indicates CPS is falling short of that goal and we absolutely have to get better. These kids have to be seen,” said Patrick Crimmins, media relations manager for the Texas Department of Family and Protective Services (TDFPS). In April of this year, Texas Governor Greg Abbott appointed a former chief of the Texas Rangers as new Commissioner of the embattled agency. TDFPS (also referred to as “CPS”) is the agency responsible for protecting abused and neglected children in the state, among other responsibilities. Breitbart Texas has reported about the abuses, problems, and overreach in the agency, particularly among CPS caseworkers. There have been horrific abuses of children who are in the state’s foster care system. The Texas Governor said at that time of the new appointment, “The status quo at CPS is unacceptable. Our children are too important to suffer through the challenges they’ve faced. I’ve insisted on overhauling a broken system.” Abbott added, “I applaud the leadership changes that will provide a new direction and focus that puts protecting children first.” The Governor appointed Henry “Hank” Whitman as the DFPS commissioner. In April 2014, the advisory council at the department approved new agency rules after children died while in CPS foster care, as reported by Breitbart Texas. 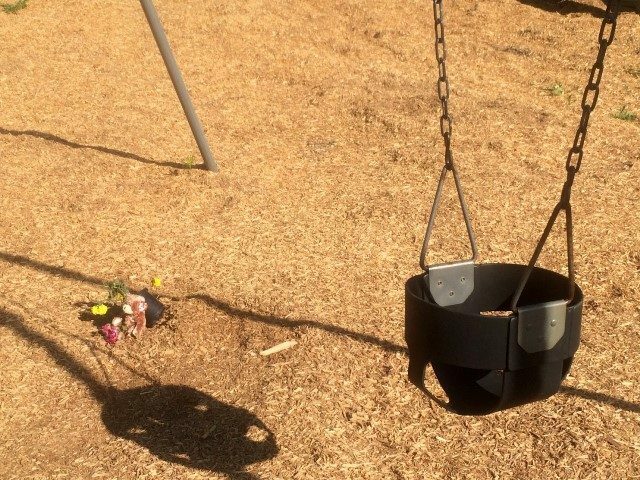 Two-year-old Alexandria Hill and 11-month-old Orien Hamilton both died of blunt-force head injuries sustained by the hands of foster and kinship caregivers approved by CPS. Children are placed in homes that have been approved by child-placing agencies (CPAs) licensed by the CPS. The department licenses the foster child-placing agencies that recruit, investigate, and train potential foster and kinship parents. They also monitor the placements once these individuals become caregivers. The new rules which took effect in September of 2014 only applied to new foster homes. Orien Hamilton died in October 2013 when she was in an Austin foster home that had been approved by Lutheran Services of the South, the Department’s top CPA. The foster mother’s ex-husband, Jacob Salas, pinned Orien’s head to the floor with his knee. Orien already had broken ribs which had partially healed. Orien had a fractured skull, bleeding of the brain and detached retinas. Salas was a prison guard who had a history of violence and abuse. The foster mother had been licensed in October and the child died less than two weeks later. Orien’s biological father claimed that he had warned Texas officials that Orien was in danger, as reported by the Dallas Morning News. According to CPS statistics, there was an alarming increase in the number of deaths of foster children in the agency’s 2013 fiscal year. Eight foster children died in fiscal year 2013; two children died in foster care during fiscal year 2012. Another child died in foster care after the Department’s fiscal year 2014 began in September 2013. In December 2014, a class action lawsuit was filed against CPS. As reported by Breitbart Texas, the lawsuit was filed by a New York advocacy group called Children’s Rights. About 12,000 children who were in long-term care in Texas were included in the class action suit. The advocacy group successfully sought and received a scathing order from a federal district judge. On September 14, Breitbart Texas reported that CPS announced a new strategic plan to “raise the bar” in preventing child abuse in the Lone Star State. The goal is to move from a plan based primarily on investigation-based efforts to an overall effort to strengthen families. Officials stated the goal of the plan is to reduce the numbers of incidents of child abuse and neglect. More specifically, the goal is to reduce the numbers of serious injuries and fatalities, according to a statement obtained by Breitbart Texas from CPS officials.